(Nanowerk News) Science and technology meet art: Nano images, taken directly from the labs of German research institutions, will be on view at the German Center for Research and Innovation (GCRI) from April 13 until June 10. The German Center for Research and Innovation (GCRI), in cooperation with the Consortium of the Ruhr Universities (ConRuhr) and the Center for Nanointegration Duisburg-Essen (CeNIDE), is proud to announce the opening of the NanoArt New York exhibition. The opening reception will take place on Wednesday, April 13, at 8:00 p.m., at the German House New York (871 United Nations Plaza, First Avenue, btw. 48th & 49th Streets), where the exhibition can be viewed during office hours, Monday through Friday, 9:00 to 5:00 p.m., until June10. 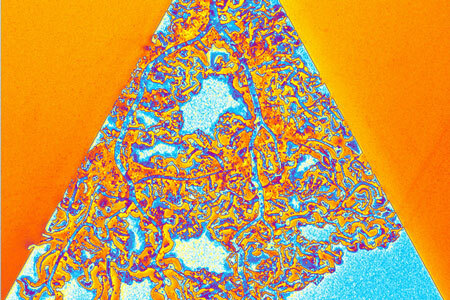 Nanoart is a new discipline where science and technology meet art. The NanoArt exhibition features art taken directly from the labs of German research institutions and brings it to the gallery. 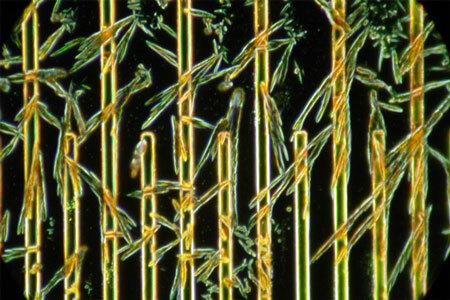 The 50 images on display show the ways in which materials have completely different and widely variable properties on the nano scale, where one nanometer equals one billionth of a meter. A kaleidoscope of textures and colors, NanoArt New York brings order and chaos, mountains and valleys, the heavens and hedgehogs, all invisible to the naked eye to life - in liquid, solid, luminescent, multi-colored atom arrangements and patterns. Nano, a word meaning "dwarf" in Greek, is the prefix for a giant 21st century key technology and primarily refers to a specific order of magnitude, namely 10-9 in the metric system. 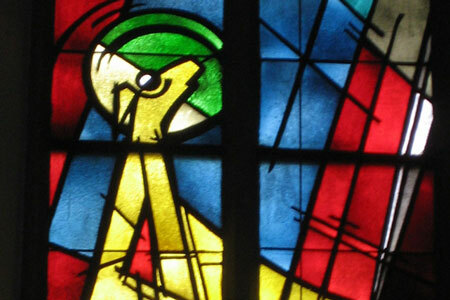 As shown with the NanoHistory image, nano particles were already used in the Middle Ages to manufacture colored stained-glass windows. Today, nanotechnology is used in everything from cancer detection and treatment to water purification systems. Germany, with nearly 2,000 players involved, is the European frontrunner in both nanotechnology research and commercialization. On January 12, 2011, the German Federal Ministry of Education and Research (BMBF) announced the new Nanotechnology Action Plan 2015. With the worldwide market volume estimated at over one trillion Euros for 2015, nanotechnology is and will continue to be a powerful driver of innovation and inspiration. The exhibition will feature a series of images provided by the Center for Nanointegration Duisburg-Essen (CeNIDE), the Nanosystems Initiative Munich (NIM), the Center for NanoScience (CeNS) Ludwig-Maximilians-Universität München, the University Alliance Metropolis Ruhr, the Leibniz Institute for Analytical Sciences (ISAS e.V. ), and the Max-Planck-Gesellschaft. A selection of images can be viewed on the GCRI-Website. The German Center for Research and Innovation, www.GermanInnovation.org, provides information and support for the realization of cooperative and collaborative projects between North America and Germany. With the goal of enhancing communication on the critical challenges of the 21st century, the GCRI hosts a wide range of events from lectures and exhibitions to workshops and science dinners. Opened in February 2010, the GCRI was created as a cornerstone of the German government's initiative to internationalize science and research and is one of five centers worldwide.